Some of the most stunning landscapes on earth are easier to find than you might think! Trekking in Nepal has always been one of my favorite activities. It's also become a very popular resource search on this website and in my guidebooks. Compiled over the next few pages will be everything you'll need to know about planning a trek in Nepal. Planning the trek of a lifetime in Nepal! There's a lot of misinformation out there and a lot of overwhelming information out there.. What you'll find here is from my own unbiased personal experience, information from people whom I've advised and hands on practical resources from those that travel the region frequently. Below is a list of categories found on this page that will hopefully answer all your questions about trekking in Nepal. If not, then do check out all my Nepal travel guides on the side menu (mobile users can jump down to the side menu here). 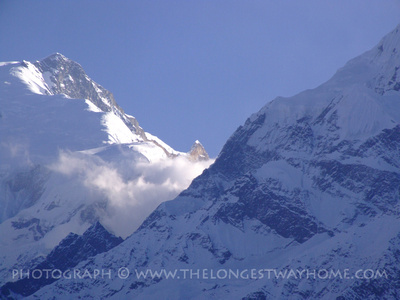 » What to expect on a trek in Nepal? » How fit do you need to be? » What food will I be eating? » What currency do I need to take? » How long is a trek in Nepal? » Best time of year to go trekking in Nepal? » Where can I store my luggage when I go trekking? » Where do I book my flight for a trek? » Which is better, solo or group trekking? » What is tea house trekking? » Can I camp when trekking? » What's the accommodation like? » Are there safety issues when trekking? » Are there ATMs or places to get money when trekking? » What permits do I need? » Is there internet or wifi in the mountains? What to expect on a trek in Nepal? If you've trekked in other countries before then you'll already know a lot of what to expect. If not, then I advise you to read over the pages I've written out on this site. You might also like to read my personal 12 day account of trekking to Everest Base Camp as an example of one of the many treks I've done in Nepal and something that you may also experience. Mountain views: You should see some great mountain ranges depending on the trek you are on. You will also be trekking over many famous passes. Depending on the time of year, the views can be either hazy, cloudy, or pristine. Valleys: You'll be trekking through some beautiful Himalayan valleys filled with exquisite scenery. Depending on the time of year the valleys will be lush with color or a drier shade of brown. How difficult will your trek be? People: Nepal's mountains are filled with friendly, hardy people. Though many you will meet on the trails are well used to seeing tourists. At quieter times of the year or less traveled trails you'll often meet with curious onlookers. Learn some basic Nepali phrases to make the most of this. Wildlife: You will see plenty of Dzo's (cross between yak and cow), above 3000m yaks will become more populous. Rare mountain goats are often spotted high up on the sides of mountains. While all over Nepal bird watching is becoming a popular pastime. Sadly, there's been no Yeti sightings for quite a while! Anywhere between 4-8 hours walking everyday is about the average to expect on a trek. However, some treks will obviously have different days so read the itineraries. Depending on the altitude of your trek you can expect to feel the effects of altitude sickness. Drink plenty of water and don't rush your days. The winds can be surprisingly strong. Physical barriers like wind proof jackets and chapstick can help. Again depending on your trek there may be plenty of old stone steps. While many people have no issue going up coming down can place a lot of stress on your knees. IF this is an issue, then do read about steps on your trek before choosing one! Don't expect great hygiene. Bring your own hygiene products if this is an issue for you. Do you plan on going for weeks on a remote trek or an established trek? While treks like Upper Mustang are remote the conditions are very good. However the conditions on the Annapurna Base Camp trek while more popular may be a bit more harsh than expected. Are you planning to be out for months, or days? You'll need to consider your fitness level when deciding what trek you would like to go on. There's a section below that covers this in depth. If you've never trekked before I would advise you to hire a guide. They can help you with trekking routes, accommodation, information about the surrounding landscapes, and translation. You can hire a guide in Kathmandu or Pokhara with extreme ease. Be sure to see their genuine certification that confirms they are indeed a guide! Be very, very aware that arranging a trek online will be a LOT more expensive than doing it in Nepal. If you've trekked before, and don't want a guide you might consider the time of year and if the company alone is worth it. A guide is not a porter. They will not carry your gear. If you are carrying a lot, you will need to hire an additional porter. For guide rates, interview questions, problems and advice please see my detailed page on How to hire a guide in Nepal. All the basics can be purchased in Kathmandu, or Pokhara - the start of many treks in Nepal. I do however advise you to bring your own trekking boots or shoes, and please remember to break them in for several weeks before going trekking. If you are on any medicine, remember to pack it in something water proof. I've created a short guide dedicated to the equipment & gear you'll need for trekking in Nepal. Ensure you are medically fine to travel, a check up is always valuable and remember to ask your doctor for advise and if you need any vaccinations. Learn the basics of Nepali. It's not essential, or even needed, but it will garner you some smiles, discounts and conversations. It's not a race. Millions have trekked the mountains of Nepal over the years. You won't be the first, nor the last. I've seen so many people getting competitive on finishing a day ahead of others, they've miss out on a lot. Take your time, come in last, and see the most! How much does a trek in Nepal cost? How long is a piece of string? The cost of a trek in Nepal is relative to many different factors. If you are trying to budget then take a look at my treks and tours in Nepal page to get a look at what some companies charge. Then take a look at the breakdown of what a trek costs in Nepal and for a specific trek read the breakdown of what a trek to Everest Base Camp costs. It also helps to read the costs of National park entry fees and trekking permit fees in Nepal. Finally do remember that hiring a local fully qualified guide will be cheaper than a large international company but is a bit more time consuming. Feel free to contact me for the details of the guide I use, or for my Nepal trek planning service or for all the DIY details my first time trekking in Nepal guidebook. How fit do you need to be to go trekking in Nepal? Reasonably, is a good answer. You'll certainly need to factor in things like age, time of year and the duration of the trek to narrow this one down. However, let's set some things straight. For the average, and even above average trek in Nepal you will NOT be climbing mountain faces, camping out, using climbing ropes, crampons or the like. 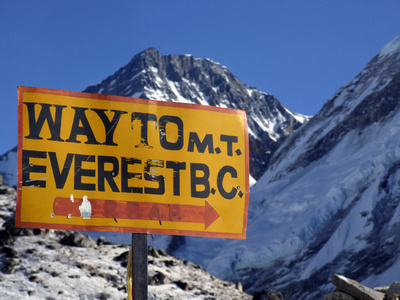 Think of it this way, many people trek to Everest Base camp in plain old sneakers or running shoes! Most treks end early at either 2pm or 4pm, though there are plenty of opportunities so rest along the way. 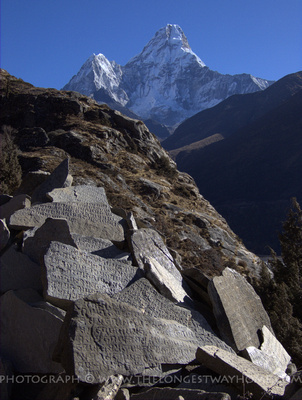 The trekking trails in Nepal themselves are not difficult, think of gravel strewn roads. The difficulty is altitude, climate, and duration. Trekking trails are not all uphill. Most treks involve following paths that both go up and then down. If trekking above 3000m you need to take acclimatization very seriously, the slower you go the better. There's no shortage on food or water on the trails. Most trails are covered with places serving everything from plain rice to steaks and pizza! Bottled water is available everywhere as are soft drinks - luxury foods are expensive. Not all accommodation has hot water nor regular electricity. 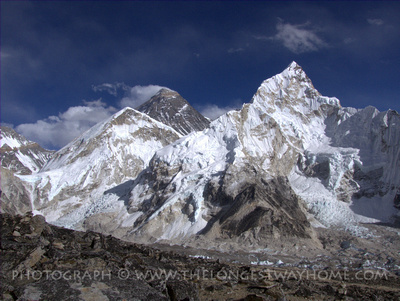 Most people not accustomed to trekking find this the hardest to deal with. However, in many of the popular villages there will be accommodation with both via generators or solar power - however they will cost more. There are people over 50, 60, 70 and even 80 trekking every year in Nepal. Age is not as big a barrier to trekking in Nepal as fitness is. Do read trekking in Nepal for the over 60s. 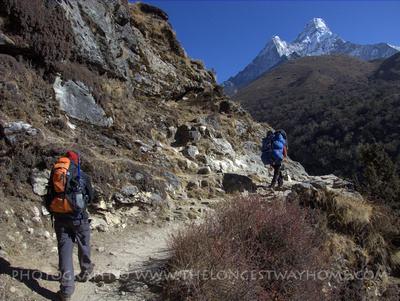 Generally speaking if you are going on a 14 day trek in Nepal you'll be walking up and downhill for about 6 hours a day. If you work everyday in an office and don't exercise, think if you could walk for 6 hours at home everyday? If you can't then you should begin an exercise program, or consider a shorter trek in Nepal. What if l get sick or have an accident when trekking? Get travel insurance before you go trekking. Make sure it covers you for altitude treks! Here's my recommendation for travel insurance for trekking in Nepal. Nepal is a very safe country to travel and trek. There are however instances where people have done missing when trekking. This is often due to people wandering off a trail by themselves, getting hurt and not being found. This is one of the reasons I always recommend trekking with a guide. Again, the link on insurance recommendations above I give some examples and costs of what's involved with having an accident when trekking. What food will I be eating on a trek in Nepal? Good but plain food. Firstly let me dispel the small rumor that you have to bring your own food when trekking in Nepal. You do not have to bring your own food! ... or Everest up close! 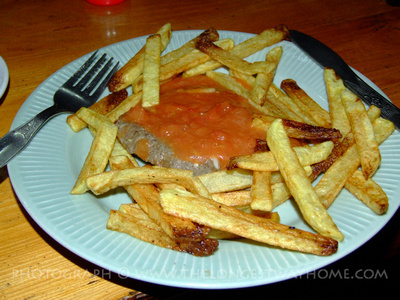 There is plenty of good food available on all the main treks in Nepal. Every little teahouse along all the routes basically has food on offer. It's how they make their living. If you are veering off the main routes and camping then yes, you'll need to cater for yourself. Otherwise you'll have quite comprehensive menus to choose from. Examples of trekking food available in Nepal: Dal bhat (trekking version) - this is the most common. It's a little different than the one you get in the cities so do read the article. After that everything from pancakes, to macaroni & cheese to muesli, apple pie and even steaks are available. Yes the food will not come with all the trimmings. But it is filling and the portions are usually quite big. Fresh meat can become scarce in the off seasons. Purchasing some Yak cheese can help add protein to your trekking diet. Do note however that the price of food does increase the higher or further from a main city you go. Do consider bringing you favorite snacks too. e.g. chocolate bars, mints etc. Just remember you have to carry them! What can I drink when trekking? Water! That's the best thing to drink when trekking. However, just about everything else is available from soft drinks to beer to coffee and tea. It is worth noting that alcohol and caffeine (in coffee and tea) dehydrates which has been proven to be detrimental at altitude. Do I need to take local cash or my own currency when trekking? Local cash (Nepali rupees) is what you'll need! Exchange money in Kathmandu or Pokhara before trekking. USD, EURO, Sterling, Chinese Yen and Indian rupees are generally accepted with ease (in Kathmandu & Pokhara). There are no ATMs on most of the trails and the few that exist don't always work! How long is a trek in Nepal? How long do you have? Once you've ascertained your fitness level, let's look at the average duration of most treks. You can trek for 1 day up to several months. Durations here are listed as an average. Short treks: There are treks designed from just 2 - 3 + days. You can even get steaks when trekking! Everest Base Camp/popular treks - do note that camping treks are more expensive as you'll need to bring your own equipment or rent it plus pay for camping fees along the way. Note 1: Please be aware that many trekking agencies tend to "Make up" trek names. Essentially, a trek is based on a region though some have become set paths. Note 2: For a full detailed list of treks in Nepal covering each of the main treks listed above in detail - See my page on a full list of treks in Nepal. When is the best time of year to go trekking in Nepal? November/December to January/February: the skies are as clear but it can get very cold. Trekkers need to be well prepared for snow, and the possibility of turning back due to paths being blocked. This is particularly true on the Annapurna Circuit, and Everest Base Camp Treks. February-March-April: this is the end of the dry season and the second best time of year to go trekking. Visibility in the mountains can be hazy if there is a lot of dust in the air. But this is counters by blooming rhododendrons and other flowers in the valleys. Trails are free from snow, and it can start to get quite warm when the sun is shining. May - June: This is Nepal's hot season, and it can get very warm indeed. Mountain views are now obscured by haze from the dust. Trekking in the mountains can be hot and sticky with a threat of heavy rain from the incoming monsoons. June - September: this is Monsoon season and the least popular time to go trekking in Nepal. While dust is reduced due to the rain, the clouds block mountain views. The rains come in heavy downpours 1-3 times a day. Landslides have been known to occur, and many trails become very muddy. October - November/December: this is Nepal's peak and best time to go trekking. The monsoon rains have cleared the sky of dust and the views are often spectacular. The valleys are still green and the weather is mild so that trekking is far more enjoyable. The only downside is that the mountains are also now full of trekkers and tourists! Note: It's my observation that climate change is affecting Nepal and the seasons there as much as anywhere else. I've adjusted the above months to reflect that, but there is also a good 4 week leeway either side which is impossible to predict. To get an idea of year round weather conditions in Nepal check my page on the weather in Kathmandu. Or, for a fully detailed monthly breakdown here is a dedicated page on the best time of year to go trekking in Nepal. Where can I store my luggage when I go trekking? You don't need to take all your luggage with you when trekking. You can usually leave most of your luggage at the main hotel you are staying when you arrive. The cravat here is that you should really be staying with them when you arrive and come back from your trek. Many travel agencies offer the same service if you go with them. The luggage storage service is free in most hotels. However, hostels and high end hotels sometimes charge. Valuables can be left in a hotel safe. Do ask to see the "safe" first as many hotels just have locked cupboard. Where can I book a flight for my trek? Some treks require or have the option of flight to the trailhead. Examples include Lukla for the Everest flight and Jomson for some Annapurna Flights. Traditionally a trekking agent or guide would book a flight for you. In the past few years some airlines have tried offering online flight tickets. However, these often cause more headaches than they are worth. Due to Nepal's banking system money is not allowed to leave Nepal. So, most of these airlines need to process online transactions overseas. It's not a huge issue, but one to consider. An important issue to consider is flight cancelation due to weather etc. It's very difficult to rearrange a flight without a headache, queuing and dealing with local queue jumpers who have paid "extra" to get a flight no matter the cost. At the end of the day it's a lot easier to just have a local agency book the domestic flight for you. They will take care of the "headache" aspect. The price is a usually the same or lower as they get discounts for regular bookings. How much luggage can I take on my trek flight? Flights to Lukla and Jomson have a 10kg limit for baggage and a 5kg limit for carry on. Additional baggage fees range from USD $1-3 depending on the airline. Normal domestic flights in Nepal have a 20kg luggage limit and a 5-7kg carry on limit. Solo or group trekking in Nepal? It is very much a personal choice. If you read about my day to day account of the Mardi Himal trek then you'll know I did it both in a group and solo. I most certainly have a preference. But that's me and you might prefer different things. Most people who opt for a trekking in a group do so for the camaraderie and safety aspects. The safety aspects really only come in to play if you plan on trekking along in Nepal without a guide. Do realize that couples and groups can also get into trouble when trekking without a guide in Nepal. Also note that if the guide is registered and you are alone then there have been virtually zero safety issues. Group treks can be cheaper than solo treks but it might surprise you to know that it's not by much. Savings generally fall into the 10-15% range. If you are alone and want to join a group then you basically have four options. Join a commercial trek: you'll book an online tour and be packaged with a "group". The pitfalls here are that you'll have no say in who you will be trekking with. There are usually added expense once you arrive. The positives here is that it's quick and easy to do check out the group trekking tours here. Ask a local company to team you up with someone: this is something you can do if you email a company online, or if you are already in Nepal send them your dates and the trek you want to go on.. If it's busy season then it may be possible that a local trekking company has another person or group going on the dates you want to go on. What happens next is that you go and meet the people or person you might be trekking with and see if you like them or not. This method does not always guarantee a result and can be a little time consuming but it can work out well. Hang out around town and meet people who are looking for others to trek with: If you are an out going person then this is quite easy, otherwise it can be difficult to meet up with people as there is no one type of hang out place to meet up with other trekkers other than a popular cafe. There is of course a fourth option which is one of the best ones. There are many many people trekking in Nepal, especially during peak season. It is very easy to meet up with people at tea houses every morning, at lunch, at dinner and out on the trails. If you get on with them then ... well, you guessed it you can trek along together. It also means that if you ant some alone time, you do just that. Do tell your guide that you'd like to meet up with others and if they are good, then they can often choose a popular tea house to stay in on the trek. If you are thinking about going our solo (alone) for a trek in Nepal then do make sure you've trekked in Nepal before. Read MissingTrekker.com if you are on the fringe of a decision. Other articles to read are solo travel in Nepal, solo female travel in Nepal and how much does it cost to trek in Nepal. What is tea house trekking? 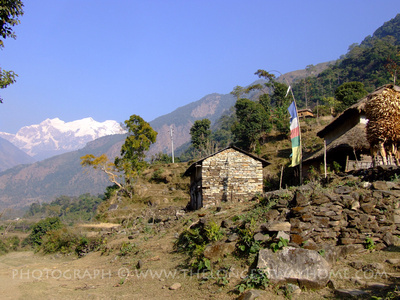 Tea house trekking means staying in small village guesthouses (usually family run) along your trek in Nepal. It is the most common form of trekking in Nepal. Teahouse basically means small basic guesthouse. Some popular treks now have mainstream hotels en route. But for the most part you will be staying in a traditional tea house. Do be aware that in 2017/2018 tour companies started offering commercially run "home stays". These are not tea houses and are basically run for high-end profit by tour companies. A more genuine local Nepali experience is had by staying in a tea house. What's the difference between a teahouse and a trekking lodge? Not much. They are nearly the same thing. Technically a tea house is more of a locally run guesthouse and a trekking lodge was built purposefully for trekkers to stay there. These days on popular treks they both the same. Again, do read about the different accommodation types when trekking in Nepal here. Yes it's popular but it's not really done on the main treks anymore. There are many teahouses on the popular treks so "needing to camp" is no long even remotely a necessity. However, on remoter treks like in far west Nepal accommodation may not be open or available so camping can be a possibility. Likewise if you actually want to go camping in Nepal. However, camping treks in Nepal are usually more expensive these days than regular tea house trekking. IT usually means you'll need to bring an extra porter for the equipment and food. Many guides also prefer a bed these days too! If you came to Nepal with a tent then it's certainly still possible to camp in less popular trekking areas. On popular routes you can also camp near a teahouse or out a bit from a village. Your guide can opt to stay with you, or stay in a nearby teahouse. What's accommodation like in trekking lodges, teahouses & hotels? On popular treks you'll get a mix of hotels, tea houses and trekking lodges for all budgets. There are some hotels charging USD$100+ for private bathrooms, heaters and so forth. While the vast majority of lodges are USD$10 and under. 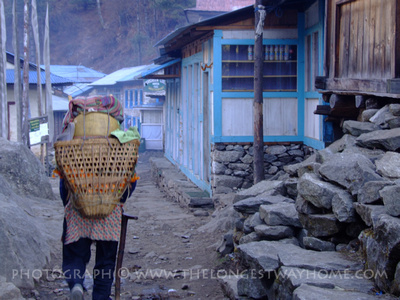 Traditionally tea houses and trekking lodges offer dorm, twin and private rooms with shared bathrooms. Today, private rooms are becoming more common place. Private bathrooms are available on the popular treks. Hot showers in budget to mid-range accommodation is usually an extra charge. There's usually a large communal dining area which serves up meals from a trekkers menu. In most places there's a fire at the center of the room. Extra blankets are usually available. However the most common query trekkers are taken back by are the lack of sockets in rooms. Aside from high-end accommodation most lodges offer a communal charging area which costs extra for charging your devices. 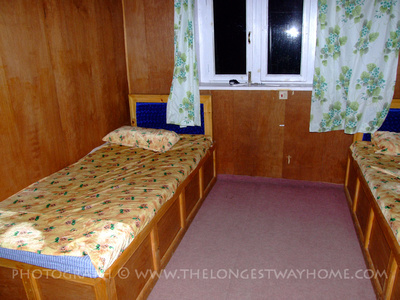 Do read this exclusive article on what the accommodation looks like when trekking in Nepal. The number one safety issue when trekking in Nepal is acclimatization. Do read about acclimatization when trekking in Nepal. Personal safety is also very important. If you go alone or even with a guide make sure your friends and family know where you are going, who you are going with and when you will be back. The last bit is very important in case something happens to you. Missing trekkers are a reality do please see Missing trekkers in Nepal for more. It is vital you check in with your friends and family as you trek. Communications are not the best out in the mountains. But they do exist. The most important is to tell people when you expect to be back. If you are not back by then or don't check in, they can raise the alarm. Money should be kept hidden at all times. Split it up in locked compartments in your bag and with a money belt. Theft is rare but it can happen. Use a pad lock on your tea house bedroom door whenever you are not in the room. Again, theft is rare but when it does happen it usually happens by other trekkers! It is best to mentally prepare for no working ATMs whenever you go trekking. A few local banks do exist, but there's no guarantee they will work. Bring cash. A few hotels will accept cash back on credit cards but the commissions are huge. Do see my article on dealing with ATMS and money changers in Nepal. What permits are needed, how much do they cost and where to get them? You need a National Park Permit depending on what areas you will be in. You will also need a TIMS card. The easiest place to obtain these is at the Nepal Tourism Board in Kathmandu or in Pokhara. Do see this extensive list of trekking permit and national park costs in Nepal or for maps for where to go my Nepal guidebook. Internet is becoming more common place in many trekking regions throughout Nepal. However, it's best not to expect it to always work or work fast. A prime example is the constantly promoted Everest Base Camp WiFi promotion. While existing, it often breaks down. Mobile internet is also available on many treks but the signal up in the mountains does not always work well. For further information on the best networks do read about WiFi and mobile internet in Nepal. The above information should give you a brief outline and understanding about trekking in Nepal. Here are some frequently asked questions about trekking in Nepal. Is it safe it trek alone in Nepal? Yes, but there are plenty of extra things to consider. If you've never been trekking in Nepal before then getting a guide is a good idea. The vast majority of trekkers who go missing in Nepal are solo trekkers without a guide. Do read about missing trekkers in Nepal for more. Finally, it's worth making sure you are fully prepared by reading about solo travel in Nepal. Is it safe to trek alone as a female in Nepal? Again, yes. However reading about solo travel in Nepal above and also reading about is solo female travel in Nepal safe will help. Can I hire a female trekking guide in Nepal? Yes ... and no. There are some agencies advertising that they have female trekking guides. However, when trekkers arrive they are often given the excuse that the female guide was called away on an emergency and not available. To understand why there are few female trekking guides in Nepal means looking at who the Nepali people are are and how Nepali culture and society works. The bottom line is, you can get a female guide but they are expensive and you might not actually get one when you arrive. There are however female jungle guides in Chitwan National Park. You can contact me if you need a recommendation. Very rarely are there any break ins into a trekkers lodge or teahouse room. Instances where it has happened in the past have involved other trekkers and not locals. Most trekking lodges have the option to put a padlock on your door. It's advisable to bring your own padlock just to make sure. Likewise, it's always a good idea to keep your valuables with you or at the very least out of sight e.g. don't leave your phone on your bed when you leave the room! What is the difference between hiking, trekking and mountain climbing? There's quite a difference between all three. 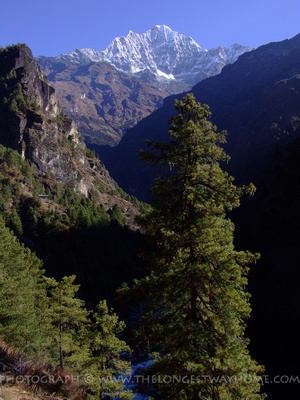 In Nepal "hiking" is often referred to as trekking. However recently it's being referenced more as easy going one-day or shorter treks done by walking in lower altitude areas. "Trekking" is the most common term for multi-day walks in the mountains. This is the most common term used in Nepal for treks like the Annapurna Circuit or Everest Base camp etc. "Mountaineering" is very different and refers to peak climbing which usually takes place at a higher altitude and involves some technical skill and special equipment. "Trekking" is the most common mountain activity term in Nepal. What are the common mistakes people make when trekking in Nepal? Rushing a trek - It's better to choose a shorter trek than rush a longer one. Getting confused with too much reading online - buy a guidebook to Nepal like these ones, they are specifically designed to take the clutter and stress out of your planning! Finally, do read this dedicated article on mistakes people make when trekking in Nepal. Is the food and water safe when I trek? I've never had a problem with food or water in all the years I've trekked in Nepal. I have had problems in Kathmandu city though. The reason for this is that the food and water in the mountains is very fresh and cooked on the spot. In Kathmandu this can be an issue. Do see my guidebook to Nepal for more precautions. For water when trekking you can either buy bottled water which is available everywhere. Or, to reduce cost and environmental impact you can use water purification treatment on the mountain water at tea houses. I usually have the water boiled at night and add a some water purification tablets. Again, for an extensive list of precautions and preparation do see my guidebook to Nepal. How can I plan out my whole Nepal trip easily! Stay on this website! Read how to plan your trip to Nepal. Easy! It's a step-by-step approach which includes incorporating your trek. I'm worried about my just out of college child going trekking in Nepal! And so you should be. Make sure they take a guide with them no matter how invincible they think they are (offer it like an early birthday present if you have to) and make sure they have the right travel insurance for trekking in Nepal! I've compiled more detailed articles on the specifics of trekking in Nepal below. You will find them to be a great place to thoroughly research your trip to Nepal, be sure to bookmark them so you don't forget! Check out my guide on how to travel overland into Tibet for a lot more! Liked this page? You'll love my trekking book! It's a hands on trekking guidebook that's better than the rest. Yes, really! In the book I cover all the popular treks in Nepal with step-by-step accuracy using scalable maps, photographs and travel tested up-to-date trekking information. Just like my other guidebooks to Nepal it's an interactive & printable guidebook like no other.